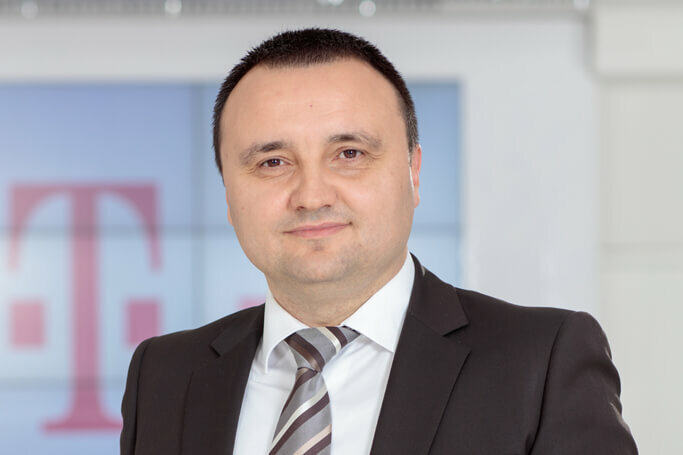 Branko Stanchev is a Chief Commercial Officer at Makedonski Telekom. Prior assuming the latest function, he held the positions of Chief Operating Officer Business, as well Chief Corporate Affairs Officer. Stanchev joined the Company in October 2002, and held management positions in different areas, including Director Marketing and Communications, Director Pricing and CRM , Executive Director Marketing, Services, Pricing, Wholesale and Regulatory, and Director Wholesale and Regulatory. Stanchev has over 18 years of experience in almost all commercial fields including marketing, sales, ICT and wholesale, as well technology and regulatory areas. He started his engineering carrier in 1997 working as solution manager for large enterprise projects, continued as IT engineer in banking sector, after which he proceed with engagement in R&D sector. Prior joining Makedonski Telekom, he was part of the senior management of the Agency for Electronic Communications. Branko Stanchev graduated in 1997 on the Faculty for Electrical Engineering in Skopje, and holds Master of Science Degree in Telecommunications and Master of Business Administration degree.